Over the years I have been asked by manufacturers to T&E their products and give feedback. Many of you already know some of my preferred brands such as Silencerco/SWR, AAC, Streamlight and FIREClean just based on the photos I post, but there are also a lot of other brands I T&E for that I typically discuss on other Social Media channels. So for those of you that don't follow me in Instagram or Facebook, I'm going to start this thread and try to bring some of that information here. There are a lot of great products out there that I believe the HK community could benefit from. I'm not going to lock this thread as I am sure there will some questions, but PLEASE lets try to keep the Q&A/comments volley to a minimum. If you have a complex question, please contact me directly. Last edited by Chopstix Kid; 02-17-2014 at 04:10 AM. 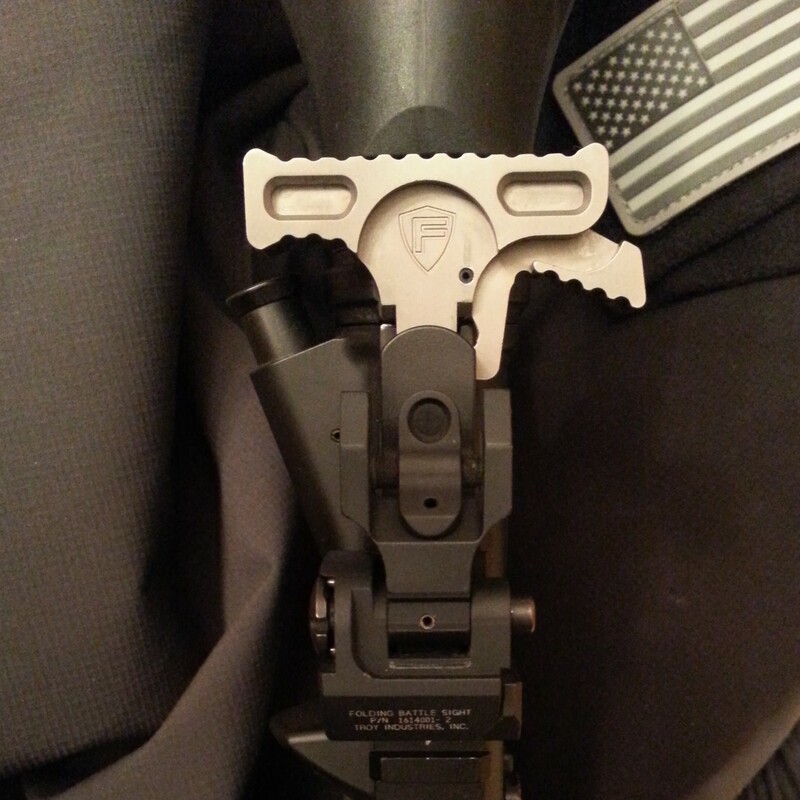 I'm trying out the Fortis Manufacturing Fortis Manufacturing Hammer charging handle on my HK416D demo gun. 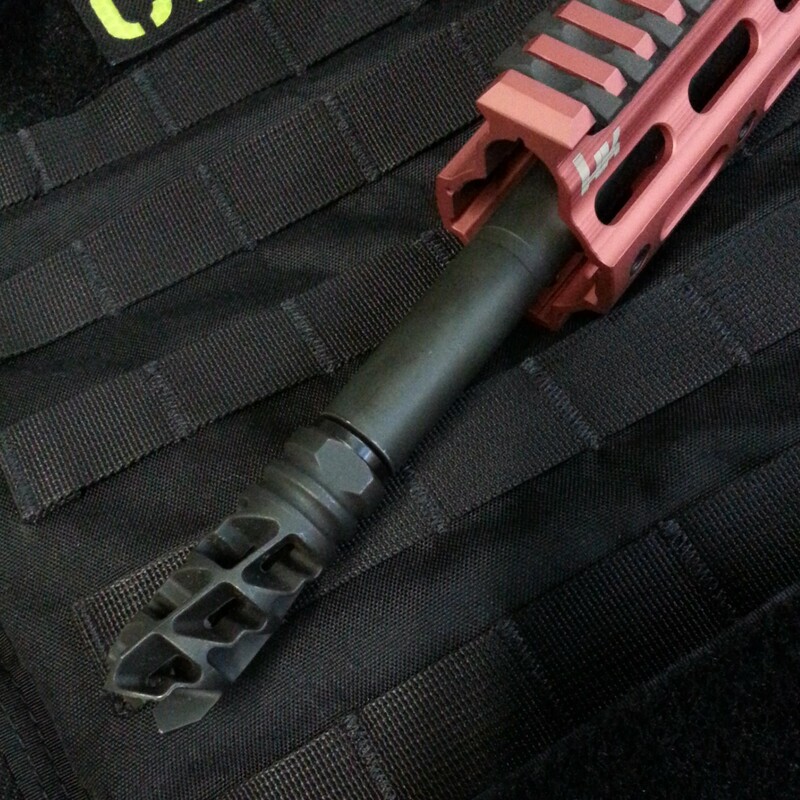 Many of you that aggressively operate the MR556/HK416 systems have found most charging handles want to pull laterally under the load of the heavier recoil spring. This creates additional friction and can contribute to a more difficult charging/malfunction clearing operation. The Nickelene "slick" finish on the Fortis Hammer caught my attention so I thought I would give it a try. I immediately noticed the benefit of the finish. I also noticed the design/angle of the release lever helps eliminate the lateral pull, thus further reducing drag/friction. As advertised, the serrations are deep enough for good purchase with glove but soft enough to use with bare hands. The release lever has a positive stop against the back of the handle which reduces roll pin stress when utilizing the "pinch" technique and/or performing an aggressive handle pull. This is not an ambidextrous handle. I have cycled the handle in many different senarios and have been extremely pleased with its performance. 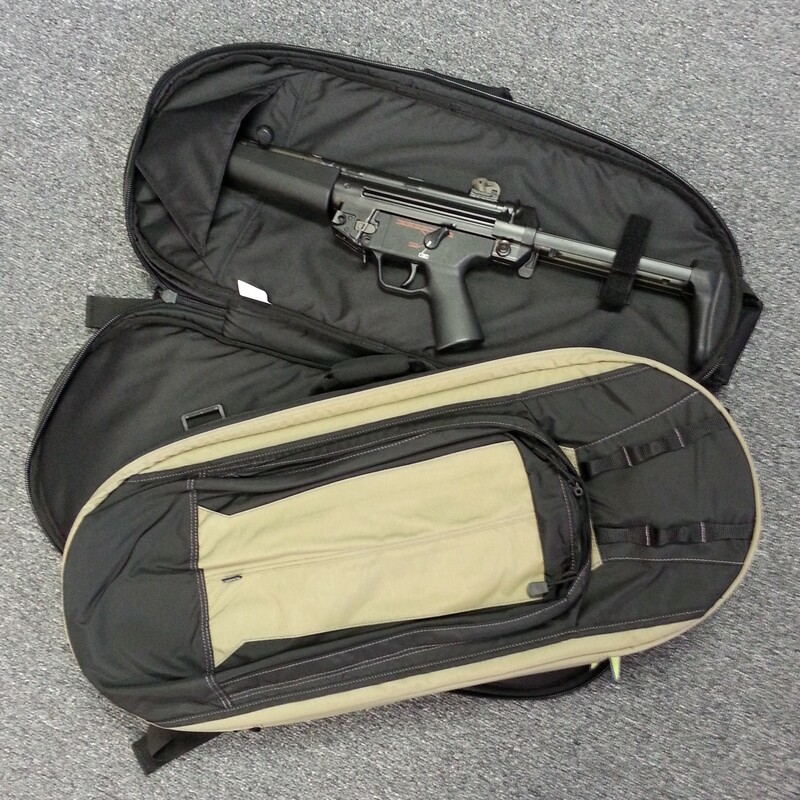 I'm looking forward to giving it some more range time and getting it in the hands of some professional operators. I have been using FIREClean FIREClean | Home for quite some time now. It has replaced all of my other primary lubricant products. Once properly "seasoned" and lightly lubricated with FIREClean, carbonized parts easily wipe clean. No need for other cleaners or solvents. It's really that simply. I have used it in temps as low as 3-degrees and it did not freeze or even get gummy. I have used it in wet conditions and it did not wash away. I have used it in dusty conditions and it did not trap debris. I tested it along side Froglube, Remoil and Breakfree CLP. Im not saying other products are not good products. They are all great products. FIREClean just simply performed better. Below is a photo of my RCM MP5 bolt-head after approx 3000 suppressed rounds and what it looked like after a quick wipe down with a single DRY paper towel. Better than 95% of the carbon was easily removed. 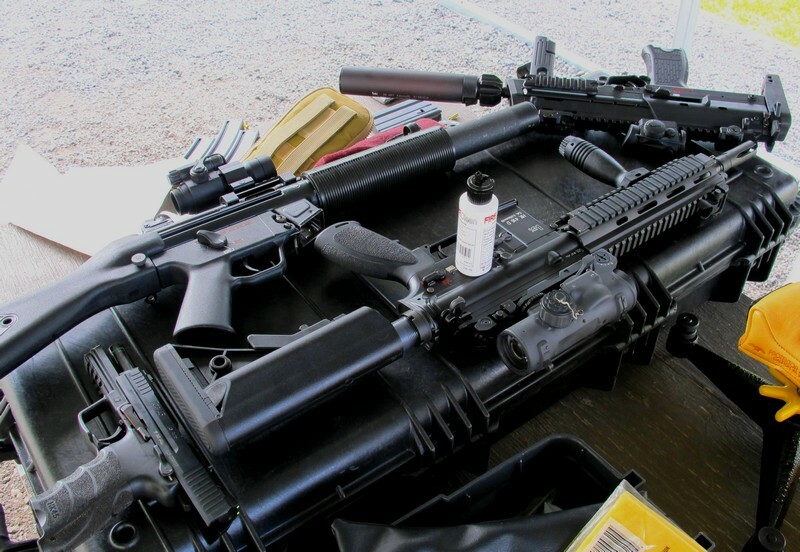 Also is a photo of a FIREClean lubricated HK121 bolt being wiped clean at this year's ATAC event. 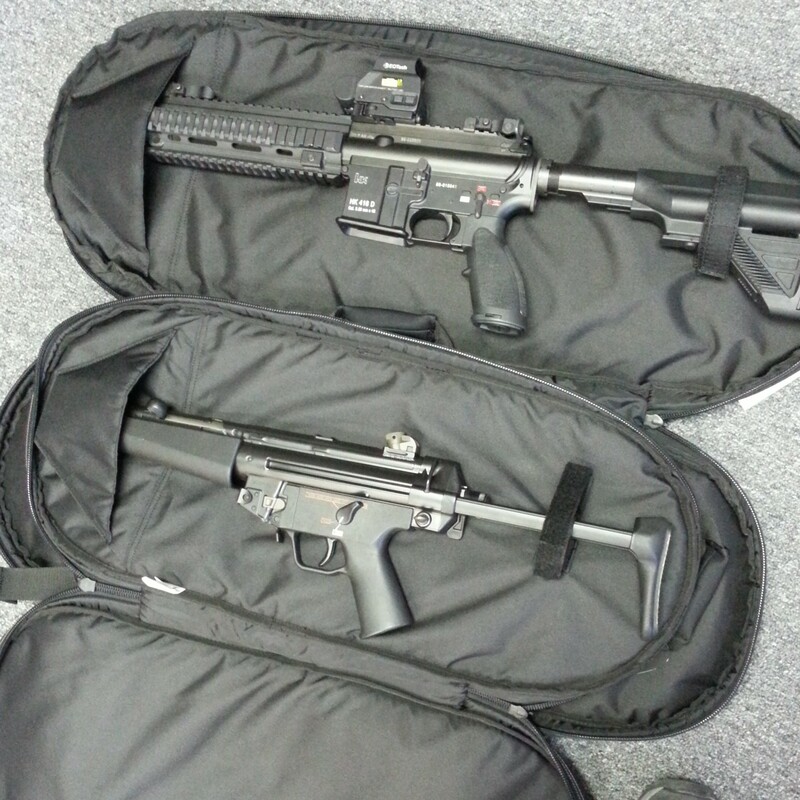 All of the HK firearms on demo at ATAC were lubricated with it. 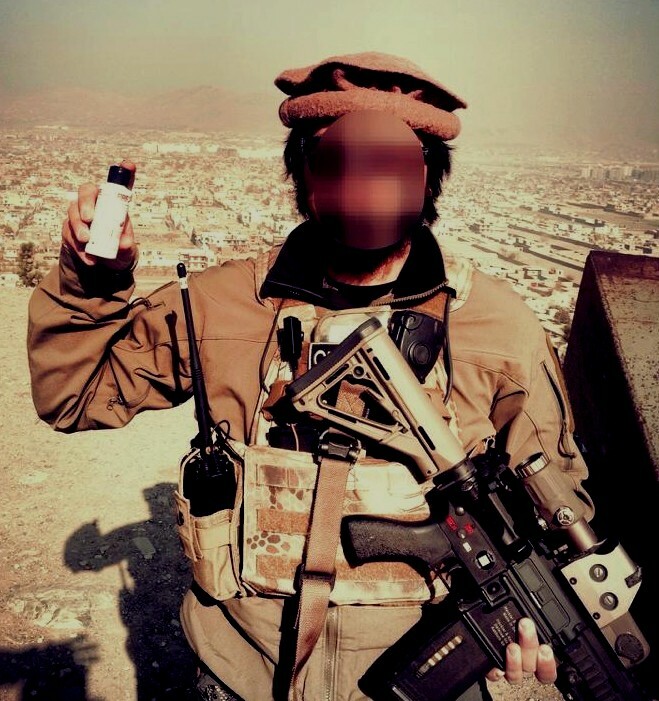 Also, Marine Corps M27 in AFG and several of the guns that HK uses when doing demos. Last edited by Chopstix Kid; 02-17-2014 at 06:17 AM. I had the opportunity to T&E the Covert M4 and Covert M4 Shorty descrete carry bags from 5.11 Tactical Concealed Carry Covert Bags & Backpacks | 5.11 Tactical. 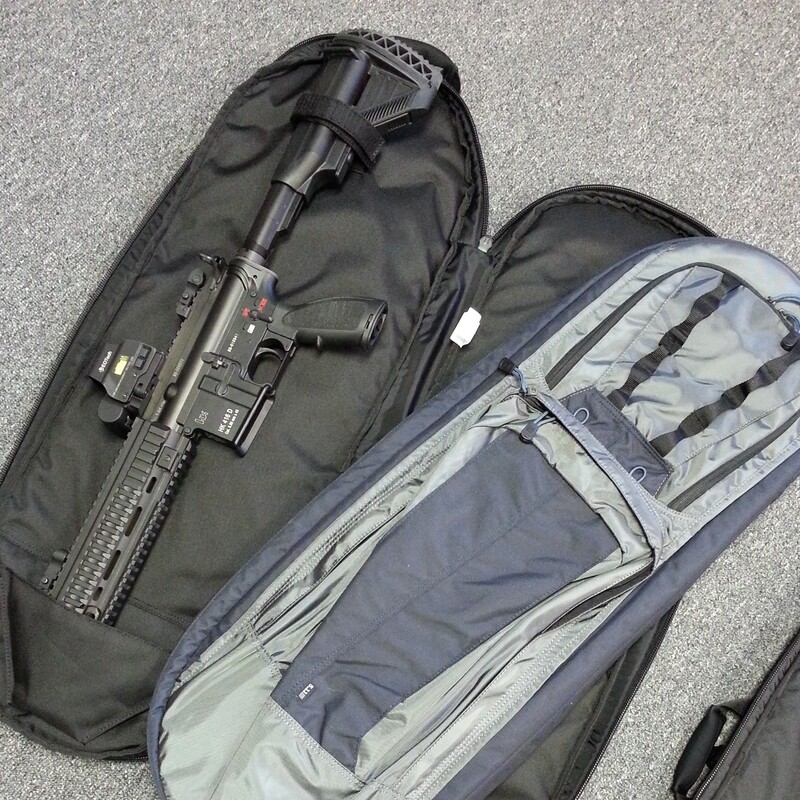 The Covert M4 can accomodate up to a 32" carbine while the Covert M4 Shorty up to 28". These are designed to be worn as backpacks so there is a reinforced pocket for the the muzzle. I did find however, the non adjustable velcro strap to be somewhat limiting in the stock postion the firearm can be secure in. The fixed positon strap also prevents the firearm from being secured to one side so that it can be carried with a magazine inserted. There is a large outer compartment that can be used to carry a good amount of additional gear. The only other criticism is that it would have been nice to have some molle webbing inside both compartments. Over all I am happy with the bags. They have adequate padding and are very comfortable to carry. The OSS Bannar Alpha is the new brake that will be included on the new MR556 and MR762 Competition rifles. I was given one at this year's ATAC event for a T&E and recently spent a little time at the range with it... Impressive! I'm not sure I can accurately report that felt recoil was significantly less than other leading 2 and 3-chamber brakes (piston guns do cycle a bit harder as we know), however I did notice a significant reduction in muzzle jump and flash signature over the 2-chamber brake that I previously used. Additionally, it did not elevate sound levels that is typical with traditional muzzle brake devices. Last edited by Chopstix Kid; 02-22-2014 at 06:23 PM. I was fortunate enough to pick up the new HK 14715 AXIS by Benchmade while at SHOT. It features their patented AXIS locking system with a blade made from D2 grade tool steel. The panels have a fine stipple feel that offers great grip even when wet. This is an ambidextrous thumb operated manual blade that I have found to be extremely smooth and easy to operate. I am very impressed. The only somewhat negative I am finding that is the super "grippy" sides make very difficult to widthdrawal when clipped on cotton clothing. The stippled panels simply bite down and I have to give it a good pull. It's nice to have panels that perform as well as these do when wet, but I have found the trade-off. I just got in the SPUHR AR buffer tube adapter for evaluation. 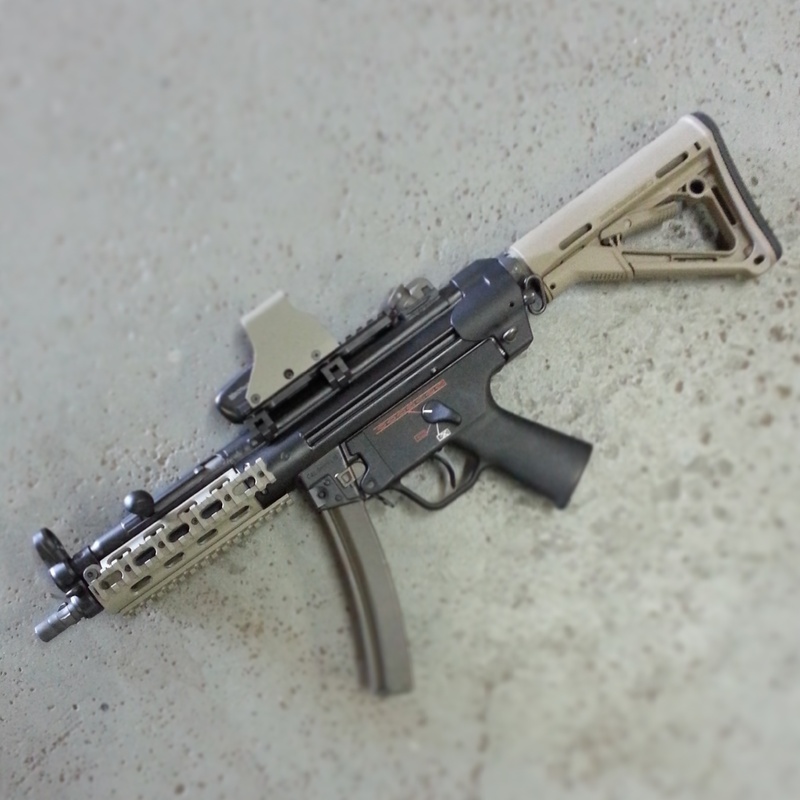 My hope is to use it on the MK54 project for Magpul. 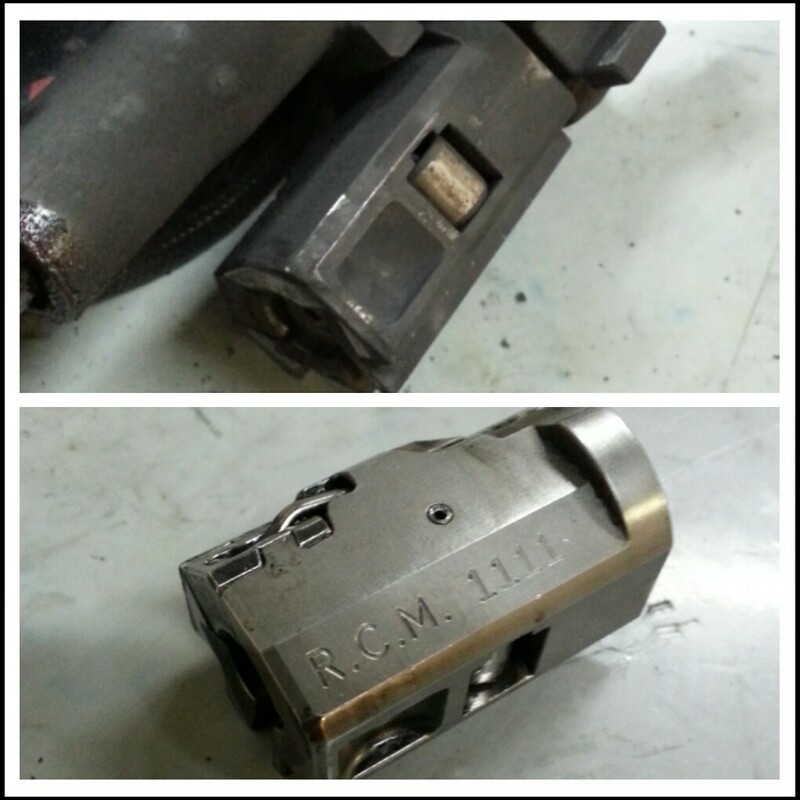 Initial impression is the exceptional Swiss design and machining quality. The fit is snug but not too tight. There are two QD sling points on the rear which I find to be a welcome addition to the roller-lock platform. The feature that really catches my eye is the above bore axis placement of the buffer tube. It makes for a near perfect cheek weld when using optics. 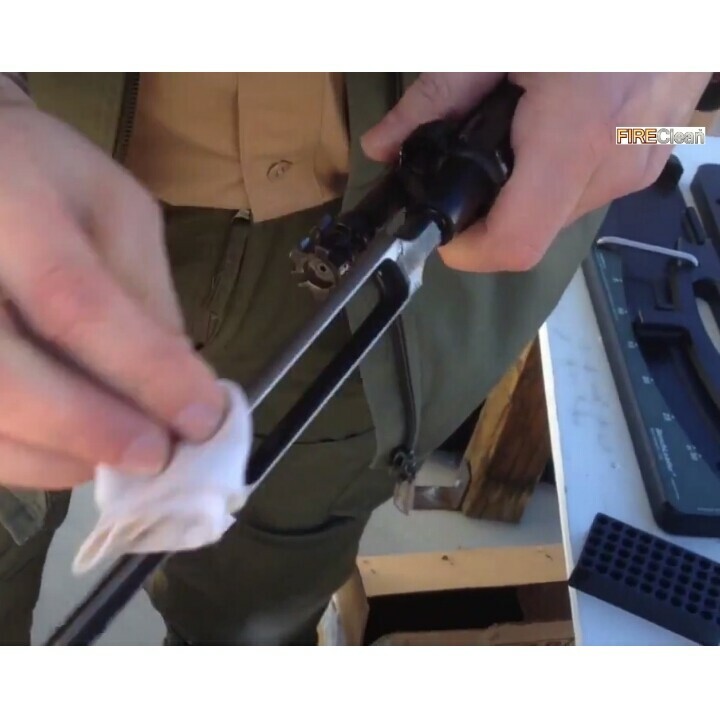 It does make the use of the irons a bit difficult, but for backup use it is doable. It also counters the affect of recoil since the carrier is now below the support plane. 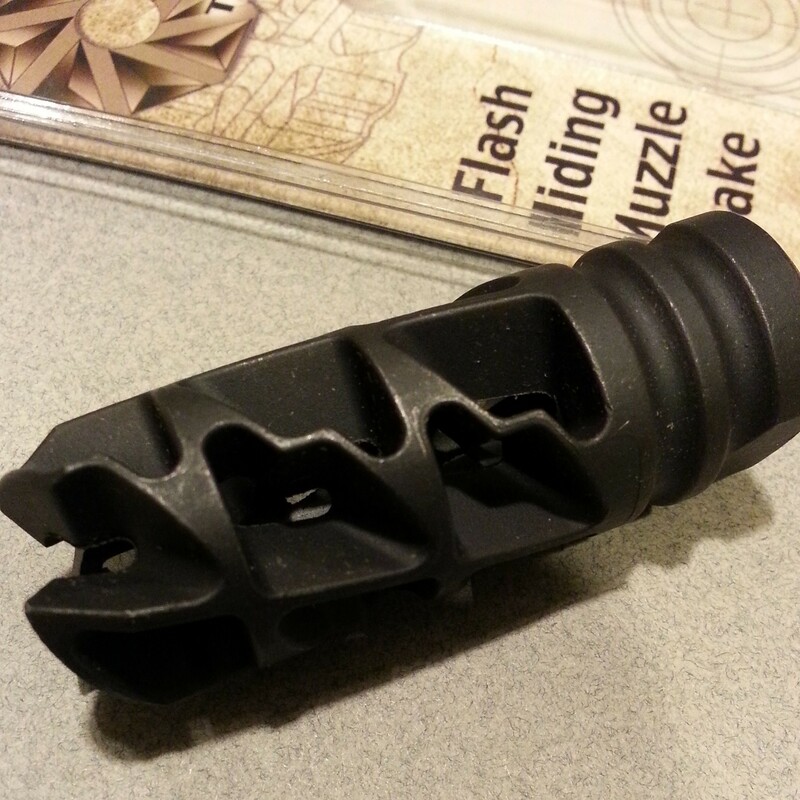 This adapter will also work on the 5.56/300BLK guns and there is also a model for the 7.62 caliber guns. It's not an inexpensive adapter but it is by far the most well-thought design I have tested to date. I have heard nothing but good things about the scope mounts so I hoped the MP5 line of accessory's would be top notch. 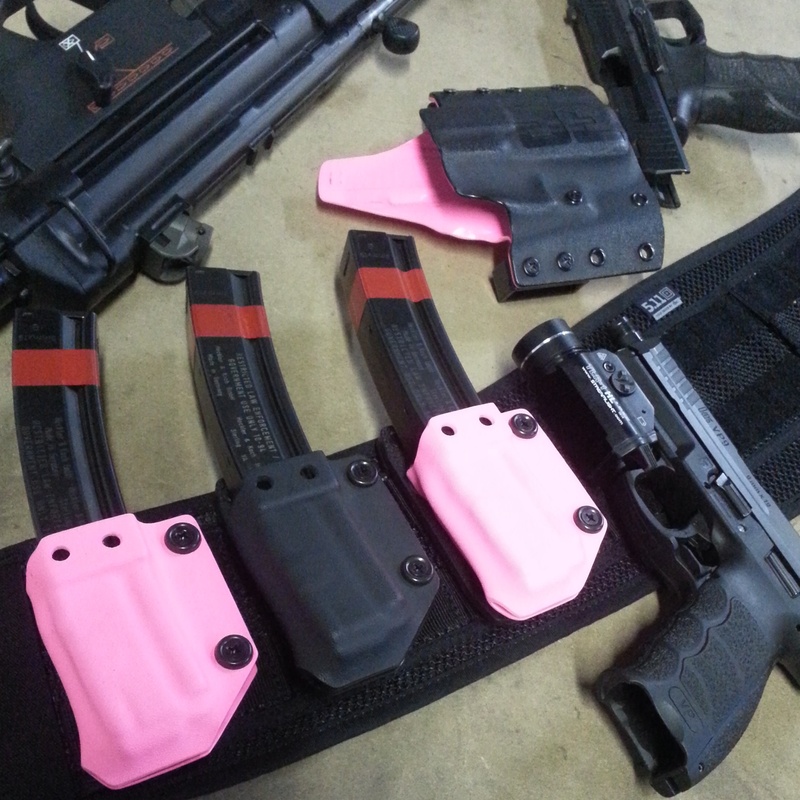 This year at SHOT, Armordillo Concealment presented me with some Kydex MP5 pouches to try out. They feature adjustable tension so you can tune them to your liking and are molle compatible. They are also stackable. 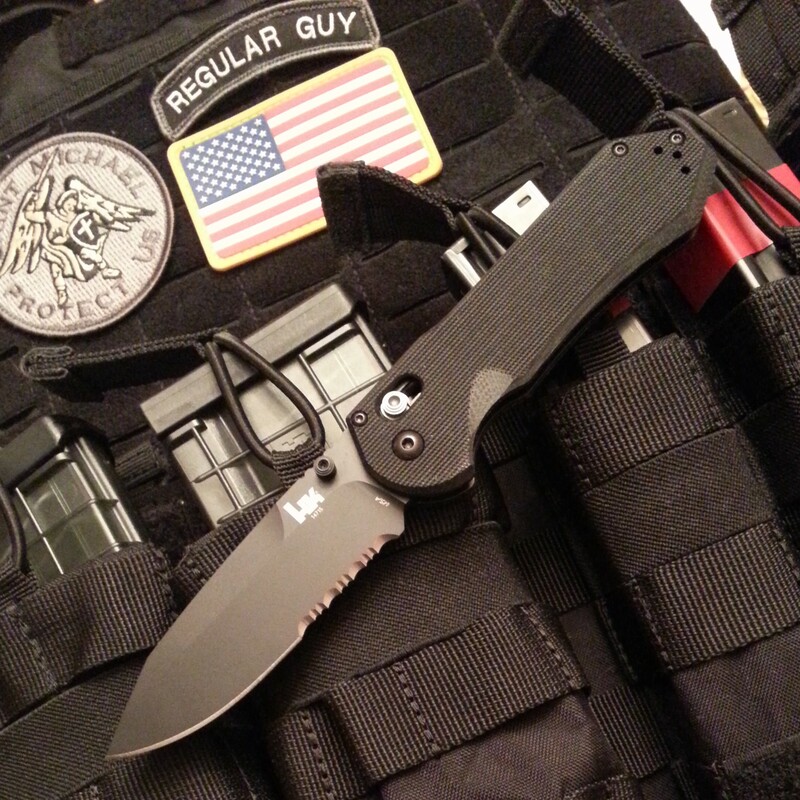 I use them on my 511 Tactical Brokos belt. If you are a competitive subgun shooter, these are a must have over traditional pouches. More of the mag exposed means easier/quicker grabs during reloads. The only draw back is that they do not rotate, thus you can only mount about 3 before they become difficult to reach.